Over the weekend, after a not-so-beach worthy beach day, I headed over to a corner restaurant that I had been wanting to try. The afternoon had not turned out exactly as planned. I was determined to make it to the beach for what was going to be only my second beach day of the summer, but Mother Nature had other plans. The overcast day quickly turned into a mix of threatening clouds and intermittent downpours. Despite the inclement weather, the humid temperatures more than made up for it, and I headed to the beach nonetheless. The long swatch of sand accommodated just me and a few other determined beach-goers, hoping to catch a sliver of sun that day. After a couple of hours of on-and-off drizzle, I and all the other hard-core beach fans decided to throw in the towel (no pun intended). The combination of my morning kickboxing class and dodging raindrops made me work up a hunger — something I would normally resolve with a stop at Herrell’s for ice cream. But this time I figured my body could use something more substantial, and I craved a juicy cheeseburger. 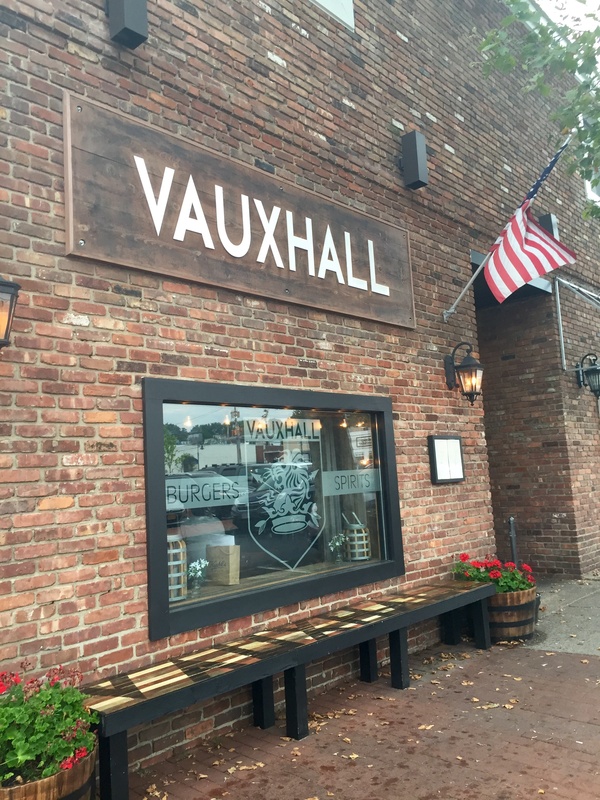 Vauxhall in Huntington Village is a relatively new restaurant that has received lots of praise. I’ve read reviews for it in the Long Island Pulse magazine, and knew it would be worth a stop. The menu, which specializes in craft burgers, cocktails, and beers was exactly what I was looking for. Overall, my burger was quite satisfying both in terms of quantity and taste. But my favorite part of the meal was ironically the popcorn that came as I was seated. I know, popcorn is nothing special. But this had chili powder sprinkled on top, which gave the popcorn a unique kick that wasn’t too spicy and was definitely memorable. The interior of the restaurant is on the smaller side, but because of this, it radiates a level of charm. I decided to sit at one of the picnic tables outside so I could people-watch as I ate my meal. The temperature had cooled off a bit, and the awning above protected the diners who chose to eat outdoors from the sporadic showers. 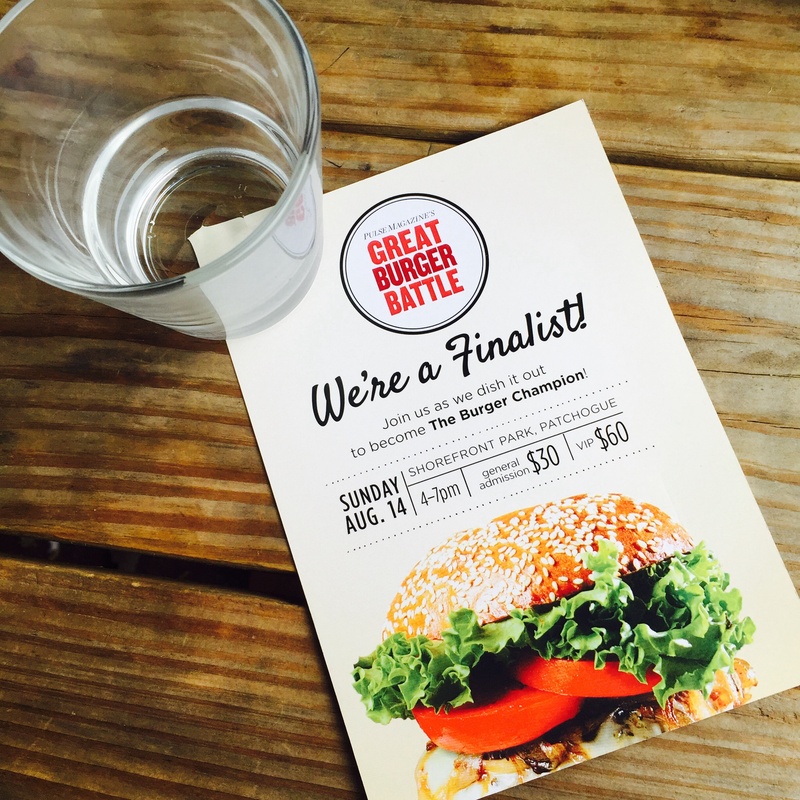 After trying Vauxhall, I can completely understand why they were nominated to participate in Battle of the Burger (you can catch my post about the event from 2014, here), a competition where some of the best burger joints on Long Island compete to become The Burger Champion. Unfortunately for me, it will be a tough choice of whom to vote for, since my beloved Dirty Burger is also a contender. 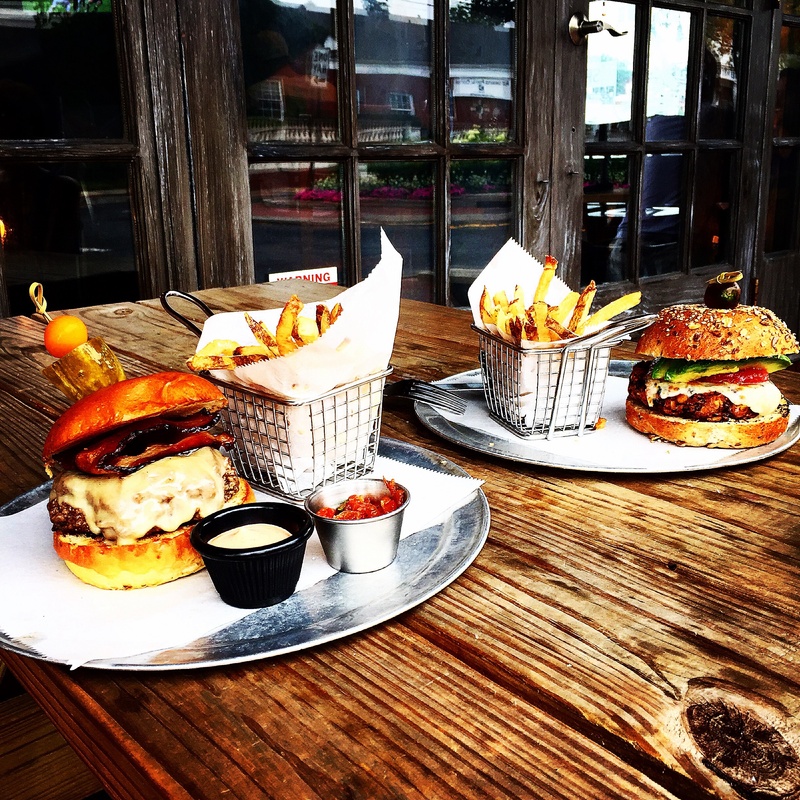 If you’re on Long Island, don’t miss Battle of the Burger, presented by the Long Island Pulse magazine, at the Shorefront Park in Patchogue on August 14th! Those look amazing!! Now I’m craving a burger… and a cocktail. Is 9am too early for that? haha have a great day! A couple of weeks ago, my hubby and I were going to make the attempt to visit some of the beach locations you suggested, but we work up late and it’s over 2hrs away from where I love 😩​ I do want to visit before the summer is over though and now I have something else to look forward to, these burgers! They sound and look amazing and now you have me curious about the popcorn! Thanks so much for sharing and I hope you have the most amazing week, beauty! You have to visit, Jalisa! If you stop at Vauxhall (which is near some of the beaches I mentioned to you), just two doors down is my beloved Herrell’s ice cream. I’ve featured them a lot on the blog. They have tons of unique flavors and everything is made on site. Be sure you save room for dessert! This place looks delicious! The idea of popcorn when you are seated right away is genius. Thanks for sharing this awesome burger joint! Thanks, Kathrine! 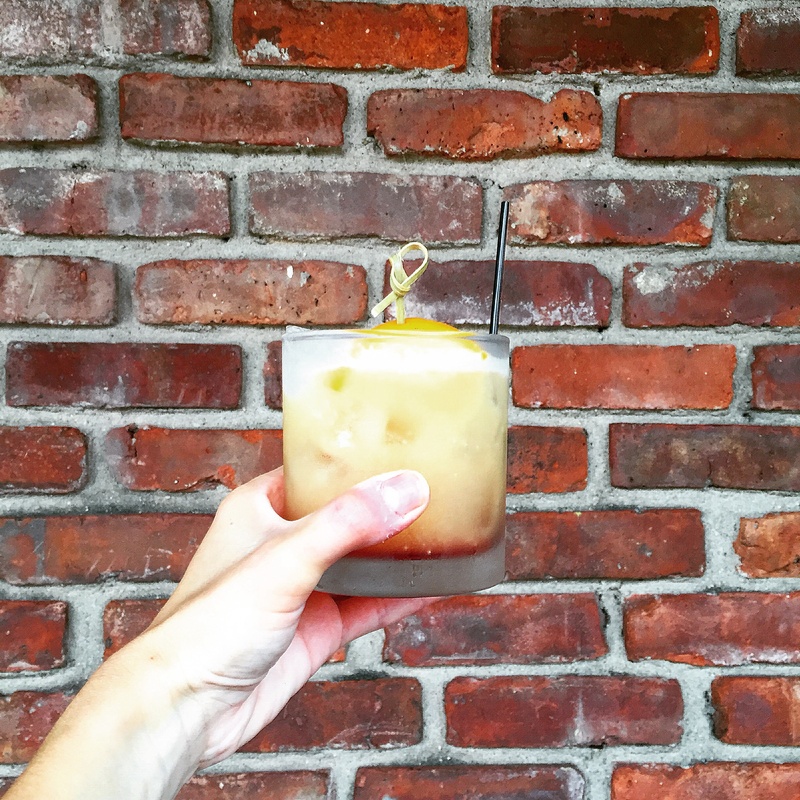 This place has earned a well-deserved spot on my ‘Best of LI’ list!